Simple and quick adhesive used for bonding large surfaces. It is especially developed for permanent and strong bonding of rough and uneven surfaces. 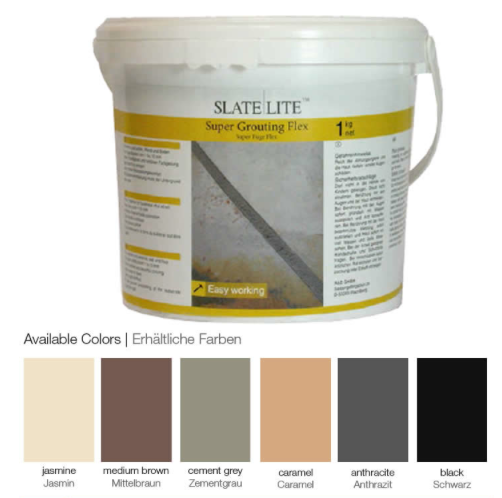 Hydraulic hardening, firm thin-bed mortar for Slate-Lite with two components. High-grade, single-packaged and non-shrinking adhesive and sealing, based on hybrid-polymer. 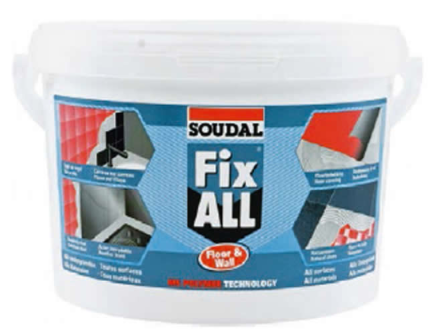 Soudal Fix All Floor & Wall is a single-packaged, nonshrinking surface adhesive, based on hybrid-polymer. Soudaseal MS Clear is crystal-clear hardening, single-packaged and non-shrinking adhesive and sealing. Soudaseal HT is a single-packaged, non-shrinking surface adhesive with a high initial adhesion. 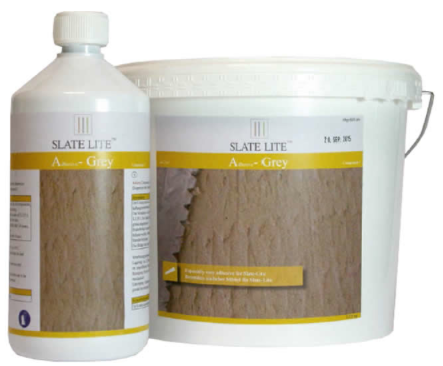 Slate-Lite Super Grouting Flex is single-packaged grout-mixture with plasticized synthetics. 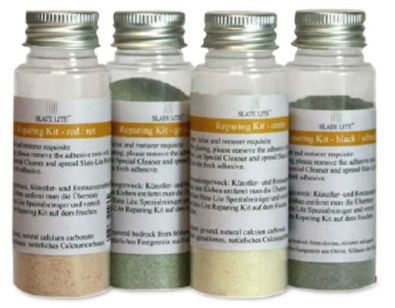 Slate-Lite Reparing Kit is an artist and restorer requisite. Small damages in the material are fixable.